Due to power outage all phones at all locations are offline. Call us at (864)-226-6041 today. Are you looking for a great optometrist servicing the cities of Anderson, Williamston, Clemson, or surrounding areas of SC? Family Vision offers a variety of services in these cities. Keep reading to find out all the eye care services we offer. We offer a variety of vision and eye care services to family members of all ages. Come into our office today to experience a comfortable and family-friendly atmosphere here at Family Vision. We work with a variety of eye healthcare medical and insurance plans and have several options to pay for our services. Our eye care team consists of several optometrists who are highly skilled in their practice and are here to help keep your eyes in the best health and shape possible. Comprehensive eye exams are a basic, but very important part of your eyecare health treatment plan. Many eye conditions can get diagnosed during the initial comprehensive eye exam, such as various eye diseases, computer vision syndrome, glaucoma, dry eye, and more. 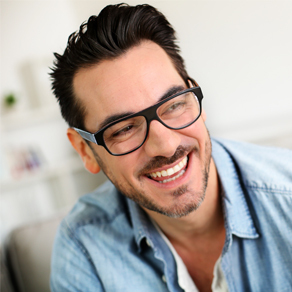 We also offer free LASIK screening for those interested in the surgery to see if you qualify for LASIK. For our younger patients, we offer the Infantsee program, which is a public health program that checks the eye health of children as young as six months of age. Eye movement ability, astigmatism, nearsightedness, farsightedness, and other health problems are all evaluated during our exam. Please contact us for more information about our Infantsee program. We offer contact lens exams and contact lenses for those interested, including patients who qualify for hard to fit contacts. 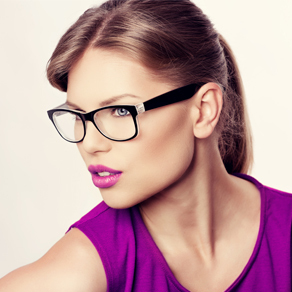 For patients who prefer eyeglasses, we provide a variety of high fashion eyewear from brands such as Oakley, Ray-Ban, Coach, Fendi, and Versace. 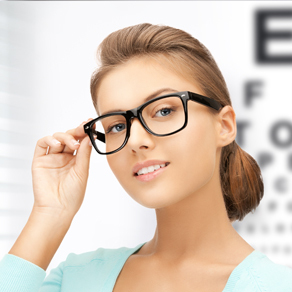 Make an appointment today to benefit from one of our high-quality eye exams. For more information on the types of exams we offer, please visit our comprehensive eye exams page. Our doctors love to come up with a personal plan to help your vision needs after carefully listening to your concerns. We always use thoroughness in examining the health of your eyes and prescribing accurate glasses and contact lenses to our patients. Make an appointment at your earliest convenience to get your eye health back on track. Our optometrists serving the areas of Anderson, Williamston, and Clemson SC can help you out at Family Vision. You can reach our Anderson office at (864)-226-6041, our Williamston office at (864) 847-7657, and our Clemson office at (864) 722-9205. Our Mission at Family Vision is to improve our patients' quality of life by providing thorough eye health and vision evaluations. Our Commitment is to share our expertise through patient education. Our Goal is to earn your trust and build a lifelong relationship. Dr. Dirk Graves was born in Sioux Falls, South Dakota. He attended the University of South Dakota, and graduated in 1993 with a bachelor's degree in biology and chemistry. He received his master's degree in 1994. In 1999, he graduated with his doctorate degree from the Southern College of Optometry in Memphis, TN. He joined the Family Vision team in early 2002, coming along side Dr. Blaettler and Dr. Randall Baughman. Dr. Blaettler was born in Luzerne, Switzerland, where he graduated from an advanced optical program. He then continued his studies in London before moving to Houston, Texas, where he received a doctorate degree in Optometry. Before moving to Anderson, he worked at Ciba Vision in Atlanta, Georgia as a contact lens clinical researcher. He specializes in astigmatic, multifocal and keratoconus contact lens fittings as well as more complicated scleral lens fittings. Dr. Randall Baughman is a native of Cincinnati, Ohio. After undergraduate studies at both Rollins College in Winter Park, Florida and The Ohio State University in Columbus, Ohio, Dr. Baughman earned his Doctor of Optometry degree at The Ohio State University College of Optometry in 1982. Dr. DJ Morris was born and raised in Seneca, SC. He attended the University of South Carolina before receiving his Doctorate of Optometry degree fromthe University of Alabama Birmingham School of Optometry in 2016. While attending optometry school, he served as President of the Sports Vision Club, as well as a University Ambassador. Lowell Veterans Hospital, in Lowell, Ma, and South Boston Community Health Center, in Boston Ma. Dr. Nicholas Baughman grew up in Greenville, South Carolina. He graduated from Clemson University in December of 2011 with a BS in Biological Science. He then received his doctorate degree while attending The University of Alabama at Birmingham School of Optometry. In 2016, he started the year off serving our Veterans' eye care needs at the Birmingham VA before joining the Family Vision Team in the summer of 2016. Been going here for over 25 years, wouldn't go anywhere else. Minimal wait times, pleasant staff and great selection of glasses. I truly enjoy every visit to this office. The whole staff is kind, funny, professional, and they know just about patient by name. Wonderful experience everytime I go.